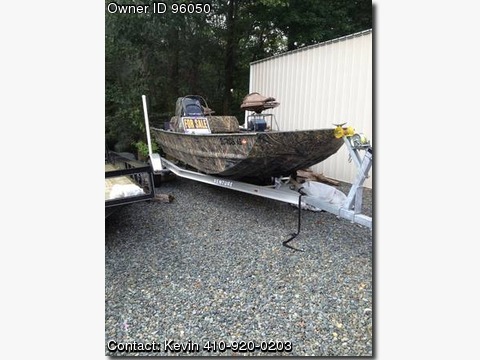 2009 18' War Eagle with 90hp Yamaha (4 stroke with less than 24hrs), jack plate, build in battery chargers, live well, gun storage boxes, remote control spot light, GPS fish finder, UHF radio with long whip antenna, bubba step, dog ramp (old), completely lined with rubber vniyl option from War Eagle, salt water trolling motor. lighted compass, horn. Boat is completely decked out. Have no time to use it. $22,000...Txt at four 1 zero 9 two 0 zero 2 zero 3.